Salesforce has recently unveiled the new Salesforce1 app that lets you create mobile app very easily using technologies like JS, Visualforce and HTML and yes of course you can use VisualStrap create mobile ready pages. Since Visualstrap is based on Bootstrap it inherits all the features from Bootstrap. Its a very powerful, sleek, front-end framework that lets you create mobile ready pages very fast! 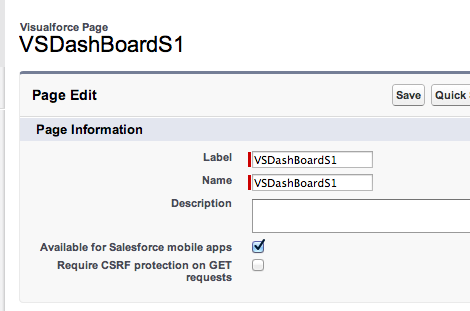 Creating a Visualforce Page "VSDashboardS1"
Visualstrap : Visualstrap needs to be installed for using the component library. Desktop & Mobile support : Since we are going to support the page both on desktop and mobile we need to find a way to stack the grids on mobile devices so that they can be easily viewed. This can be easily done by using proper grid classes. Responsive : The page needs to be responsive so that it fits in the screen of different mobile devices. 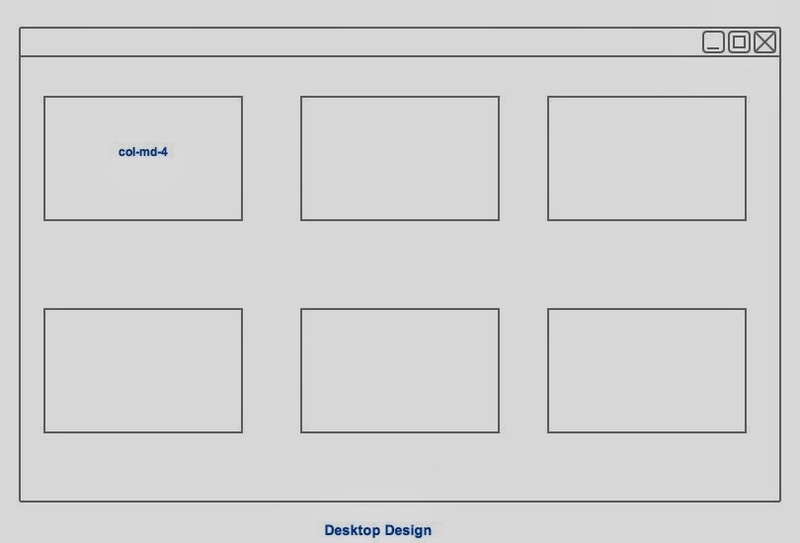 To make sure the grids properly stack up according to devices we should have to select proper column/ grid classes. 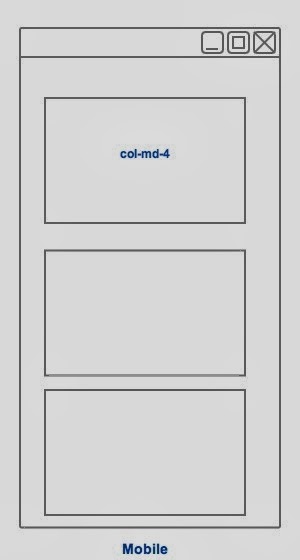 In this example we are going to have three blocks per row, since a row in Bootstrap is of 12, each block should span to 4 units, hence the type "col-md-4"
col-md-* classes are displayed in single row in a device with regular display where as they get stacked in mobile devices with smaller displays. 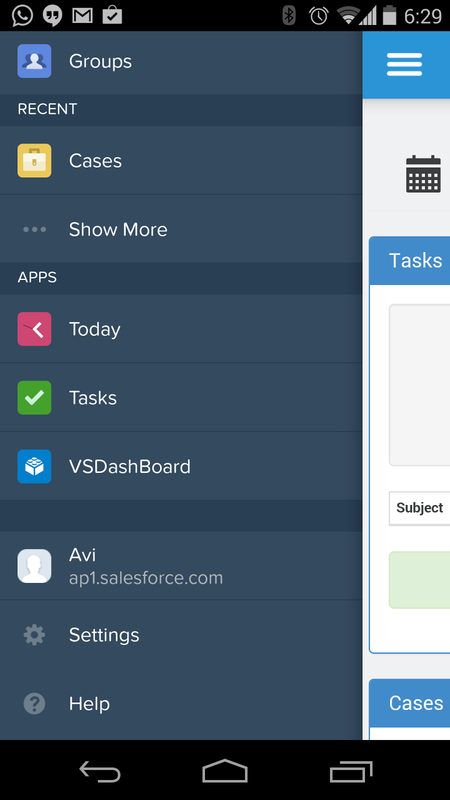 We have to make sure navigation works for both Salesforce1 and desktop, this can be done by detecting whether the app is viewed in Salesforce1 or Desktop. 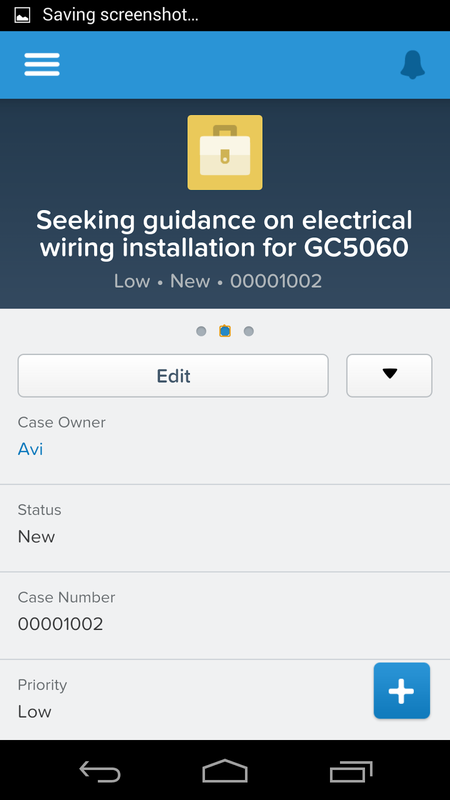 Have a look at the below JS function , the function checks whether "sforce.one" exists (which exists for Salesforce1) and switches the navigation method accordingly. 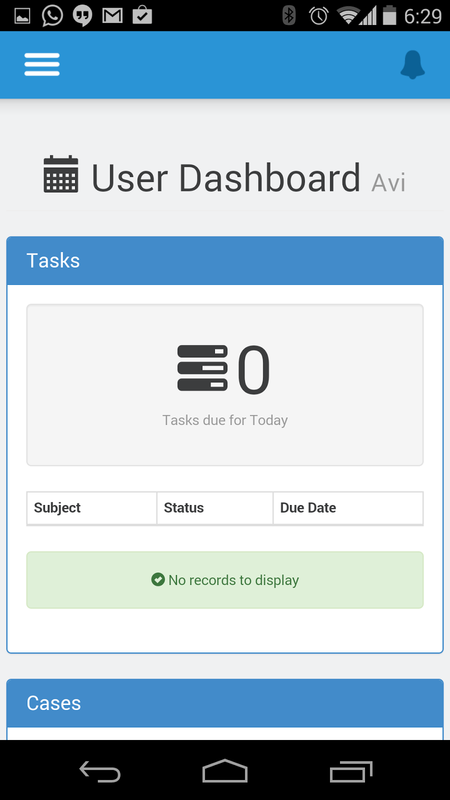 Visualstrap grid classes are all responsive and hence they will adapt according to screen width. To make sure the page uses all the real estate available on the screen, the page should be stacked vertically for mobile where as it should span horizontally for desktop. This is generally done use grid classes. 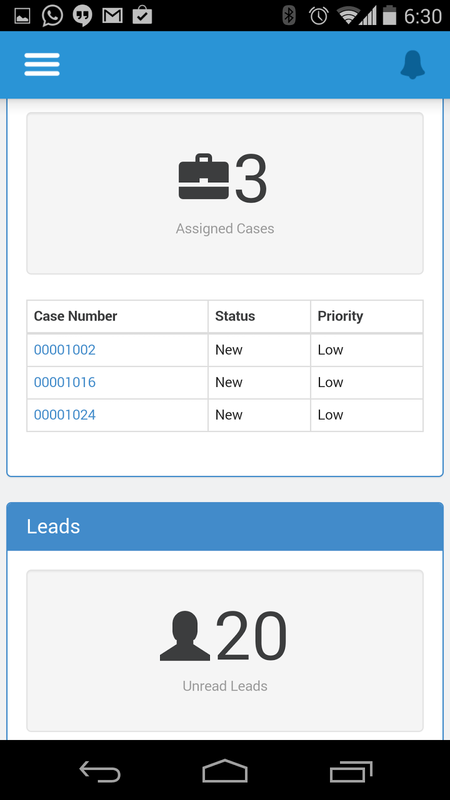 Mark the page VSDashboardS1 "Available for Salesforce mobile apps"
How it looks like on a Mobile Device ? 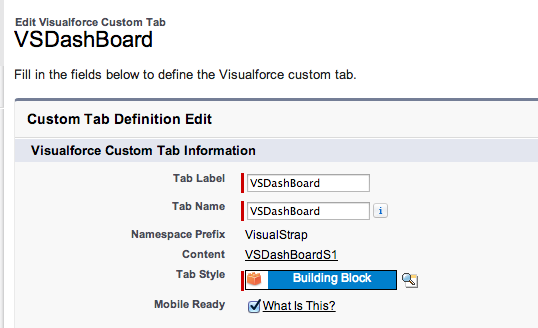 Can we display related lists in VF Pages using Visual Strap. I tried but struggling with the styling.